Trump frequently took aim at Goldman Sachs during his campaign. Goldman Sachs CEO Lloyd Blankfein took to Twitter on Tuesday morning to praise the infrastructure of China and suggest the US is falling behind in its maintenance of roads, bridges, and airports. "Arrived in China, as always impressed by condition of airport, roads, cell service, etc. 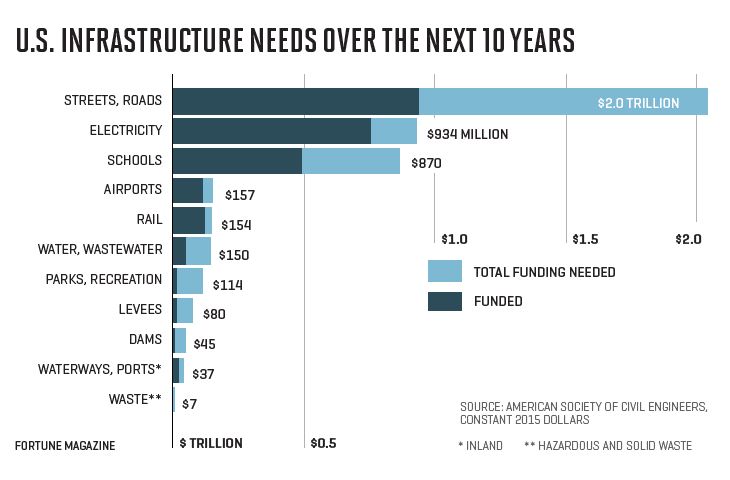 US needs to invest in infrastructure to keep up!" Blankfein tweeted. The message is just the third tweet from the Goldman CEO. Blankfein joined Twitter on Thursday, criticizing President Donald Trump's decision to remove the US from the Paris climate change agreement. Interestingly, Blankfein's tweet comes amid Trump's infrastructure push. The president announced a plan to privatize and modernize the US air traffic control system on Monday and will deliver a speech in Ohio highlighting his plans for a $1 trillion investment in infrastructure. Trump frequently took aim at Goldman Sachs during his campaign, and Blankfein was even featured in an unflattering light in one of Trump's advertisements. Since the election, Blankfein said he thinks some of Trump's policies could be good for the US economy, but has also taken issue with the travel ban. Blankfein also isn't the only major bank CEO to point out China's more updated infrastructure. In an interview with Business Insider in May, JPMorgan CEO Jamie Dimon also made a similar point. "Then there is infrastructure," Dimon said. "You might be shocked to find out, we haven't built a major airport for 20 years. China built 75 in the past 10 years. It takes 10 years to get all the permits to build a bridge today. Ten years? What happened to the good old can-do America?"